We simplify afterschool activity administration so you can focus on what matters: students. 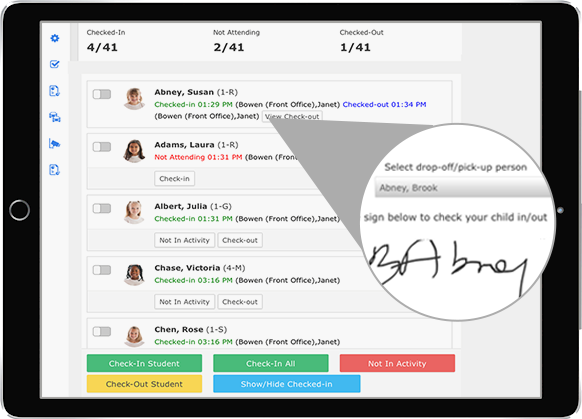 Make attendance easy with real-time activity rosters. Reduce billing errors with accurate attendance reporting. Streamline check ins with an intuitive app. Automatically notify parents of their child's status. Today's parents run their lives from phones. 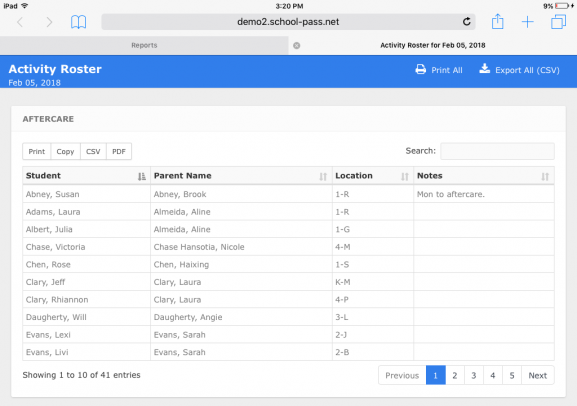 SchoolPass allows parents to update their child's after school schedule from an app. Parents can check on their child's status at any time. Activity coordinators get an up-to-date list of the students who are supposed to be present. Checking students in and out of after school programs is fast, easy, and safe. Student activity attendance history is accessible on an easy-to-use dashboard at any time. Billing is faster and more accurate, ensuring your school doesn't miss owed activity fees. SchoolPass is much more than just after school activity management. SchoolPass offers a suite of safety and efficiency solutions that are seamlessly integrated with your Student Information System.